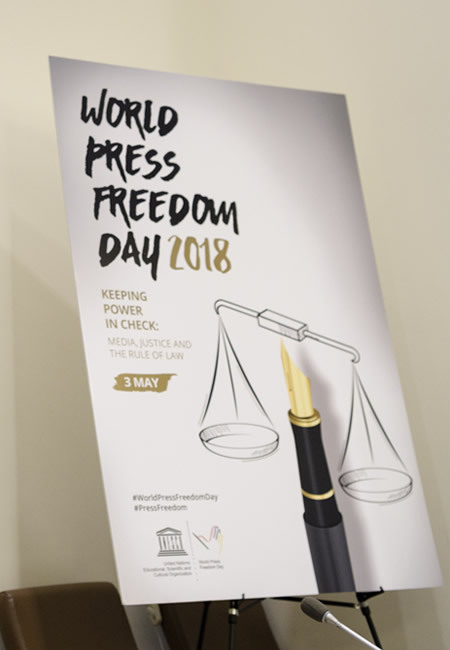 Photo: Scene at a special event entitled “Keeping Power in Check: Media, Justice, and the Rule of Law” at the United Nations headquarters in New York on the occasion of the 25th Anniversary of World Press Freedom Day. 03 May 2018. United Nations, New York. UN Photo/Manuel Elias. 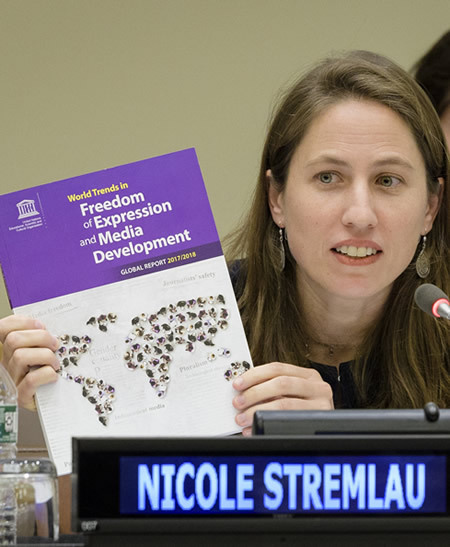 Photo: On the occasion of the 25th Anniversary of World Press Freedom Day, Nicole Stremlau, head of the program in Comparative Media Law and Policy at the University of Oxford, addresses a special conference at the United Nations headquarters in New York. 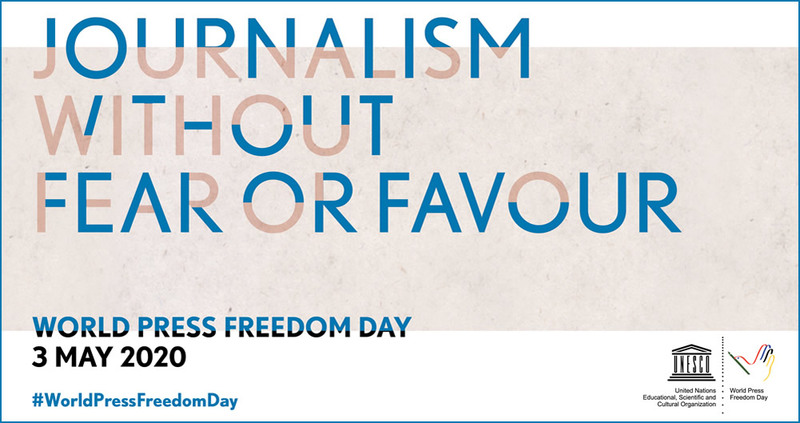 The event was titled Keeping Power in Check: Media, Justice, and the Rule of Law. 03 May 2018. United Nations, New York. UN Photo/Manuel Elias.